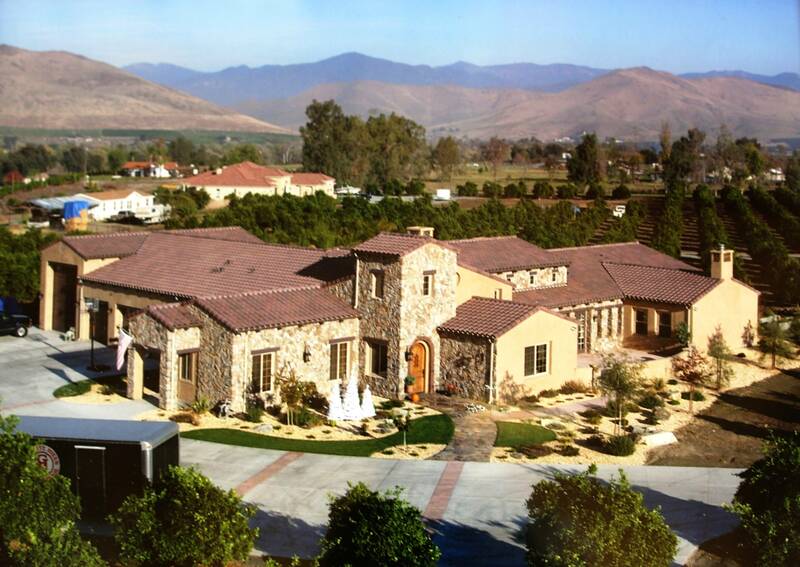 Fall in love with this Tuscan Inspired Villa located in the beautiful California Central Valley. This magnificent home situated on 9.71 acres comes with a spacious and open floor plan. The warmth of this home can be felt as you drive up the private drive. Once you walk into the home you are greeted with expansive ceilings, majestic rock accents, gorgeous features and breathtaking views. This 5000 square foot estate has three bedrooms, three full bathrooms, two half baths, a casita with one bedroom and one full bathroom, a designated office, media/game room, formal dining room, formal living room, great room, and an incredible kitchen for even the pickiest of chefs! The fenced backyard offers plenty of room for entertaining with two covered patios, a built in fireplace, a beautiful swimming pool, and incredible views of the nearby foothills. The remaining acreage is comprised of a late variety of Barnfield Oranges, Blood Oranges, and newly planted Satsuma Oranges for you to farm, or lease, whatever the choice, they offer plenty of privacy for you to enjoy your Tuscan Villa. If solar is of interest to you, this home is run off solar panels allowing the owner to enjoy low, low, low electric bills. Call for your private tour, this estate is absolutely superb!